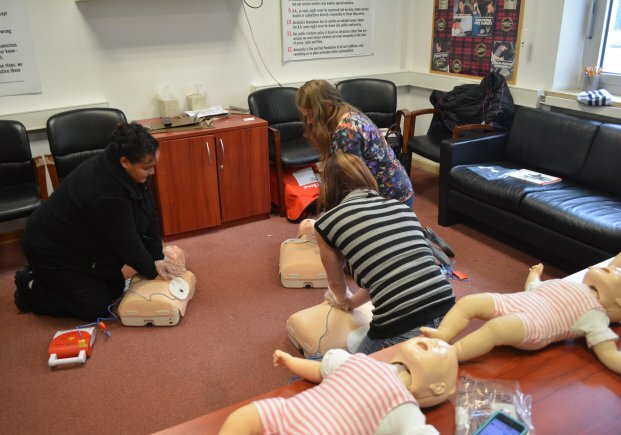 Includes CPR/AED for Professional Rescuers provides participants the knowledge and skills to prevent, recognize and respond to emergencies and provide care for breathing and cardiac emergencies, injuries and sudden illnesses until EMS personnel take over. This course includes content and skills from the 2017 CPR/AED for Professional Rescuer and Responding to Emergencies programs. An abbreviated CPR/AED for Professional Rescuers course that briefly reviews course information and allows practice of skills before testing. To be eligible to participate in a review course, participants must have successfully completed prior training. This training can be verified with an American Red Cross Certificate. Participants will be tested on information based on 2015 ECC Guidelines. A testing session of knowledge and skills for CPR/AED for Professional Rescuers. Course does not include a review of course information or skill practice. Participants will be tested on information based on 2015 ECC Guidelines.